For those of us living with chronic illness, finding the perfect doctor can be akin to finding our soulmate. It’s just as difficult and we feel just as fulfilled when it finally happens. 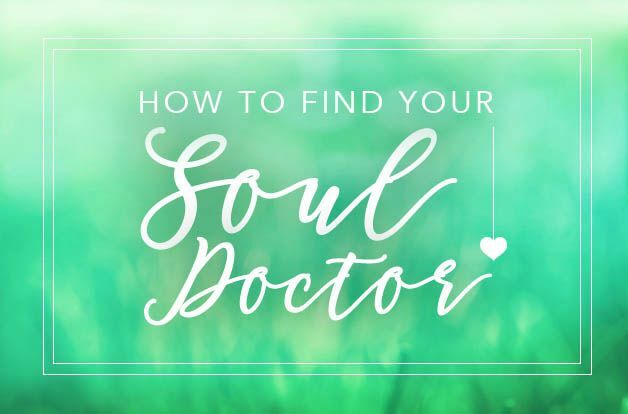 But, what makes for a perfect soul doctor and how do you find yours? Your soul doctor listens to you. You should never feel rushed when talking to your doctor. If you’re lucky, your specialist has 30 minutes allotted to talk with you, but that’s rare. The reality is that it’s more like 10 minutes. However, a good doctor won’t make you feel like your time is limited. They will make you feel like you are the only patient who matters in that moment. Your doctor will make sure that you know that you are heard, even as his or her head is buried in a laptop, taking notes. Your soul doctor provides suggestions, but lets you make the decision. You should never walk out of the doctor’s office feeling like you’ve been given orders to take a new medication or try a new treatment. Any change you make should be a joint decision that follows a discussion between the two of you. You should be given a chance to do your own research to consider the pros and cons of the treatment before starting it. Your soul doctor is honest with you. A good doctor is going to be straight with you, even if it means telling you something you don’t want to hear. This includes being honest about his or her professional capabilities and limitations. This might mean that they call in a colleague for backup on a question, or it may mean that they refer you to someone else who they feel can better treat your issue. A doctor telling you they can’t do something can be a good thing. Your soul doctor answers your questions. If your doctor is ordering tests, make sure you understand why. If they can’t give you a good reason, don’t do it. Is that test really needed? Your doctor should be able to not only explain why a test is being ordered, but also — when the results come in — they should thoroughly explain the results and what they mean to your health. Too many times, patients don’t discover test results until they’ve ordered their medical records and reviewed them, often years later. Your soul doctor is accessible. It’s not just about the time you spend together in the office. You need to know that you can reach out to your doctor when you are at home. Many doctors are now using online portals to allow you to send them questions, and some go a step further and provide direct access through text or email. Many still require that you call and talk to the nurse. That’s okay, as long as you are getting a call back in a reasonable amount of time. Your soul doctor just feels right. Just like when you meet your soulmate and you just know it, you’ll know it when you meet that perfect soul doctor. I have two of them (out of about six doctors). In both cases, I knew from the first meeting that we were going to have a great relationship, that I could trust them, and that we’d continue together for a long time. How do you find that doctor without spending years trying doctor after doctor? That perfect doctor for you, your soul doctor, does exist. And, there’s no reason for you to spend years seeing, and firing, doctor after doctor to find him or her. In his podcast, patient advocate Leslie Michelson laid out three steps to finding the perfect doctor for you. Following these three steps is time well spent that will lead to a happy ending, where you ride off into the sunset with your perfect soul doctor! I’ve been using these steps to find a new family doctor. It’s been a long process and I’m honestly still looking for my happy ending. However, this process has been a lot less stressful than the time I could be spending with the wrong doctor. What personal attributes would they have? Would they be a male or female? Do they need to take your insurance? Or, are you willing to pay out of pocket for the best care? Do they need to be open certain hours? Do they need to have access to certain hospitals? Is your soul doctor a certain age? Do they have specific professional training or certification? Don’t limit yourself to this list. Once you’ve listed out all the things that you feel make up the perfect doctor for you, prioritize that list. You can use our downloadable checklist to help organize your thoughts. 2. Ask for referrals. When I started asking for referrals, I hit up Facebook, as it’s the easiest way to get local recommendations. 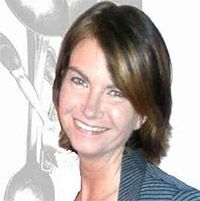 If you are looking for a specialist, you may want to ask members of your local support group. Feel free to lay out the specifics that are important to you before you ask. This will help guide your friends and family in giving you the best suggestions and keep them from suggesting people who are definitely not a good fit. Be sure to ask them why they are suggesting specific doctors and what their experience is with that doctor. When looking for a specialist for a specific illness, you may also want to take a look at any foundations or organizations associated with that illness. For example, when looking for a Lyme doctor, an LLMD directory is a good place to start. You can also ask your current doctors for referrals. Ask the doctors whom you most respect which doctors they prefer or who they would recommend based on what you need. Ideally, you would only take this step with doctors you already feel are soul doctors. Remember, like tends to attract like. Compile all the suggestions and cross-reference them with your wish list. Remove any doctors who obviously don’t match your most important needs. Also, make sure to cross-reference this list with the medical board list for any lawsuits or complaints. Take online reviews with a grain of salt. Unfortunately, many people who leave reviews for doctors only do so when they aren’t happy. You’ll often get a one-sided opinion, and you’ll miss out on doctors who have already been recommended by satisfied patients and those whom you already trust. 3. Make a consultation appointment. This is the suggestion that is probably the furthest from anything that most of us would consider doing, yet it’s the one that will save the most time. It’s hard to imagine that a doctor would take the time to just sit down and talk to you to determine if you are a good match, but you will be surprised how many will be willing to do so. Don’t forget to take your checklist! Call the office and ask the staff if the doctor does consultation appointments. 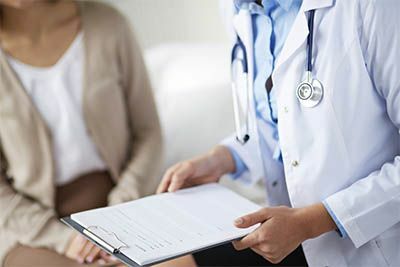 Make it clear that you are not seeking a physical or wellness appointment, but that you simply want to talk to the doctor to determine if you are a good match. While many doctors will do this without a fee either during a time when they aren’t busy or after hours, be prepared to pay — most doctors will charge you for an office visit. In my experience, even a free visit or phone call has been brief. Don’t expect a lot of time, but even a few minutes may be enough to give you an idea of how that doctor communicates and whether you feel a connection. Focus on assessing their communication style, which can play a key role in how effective your future visits will be. And make sure you are given enough time to explain your situation so the doctor can determine the viability of a good match with you. Hopefully, by the time you complete Step 3, you’ll have found a doctor you will want to see again. If you’ve been lucky enough to find more than one doctor that seems to be a good fit, go back to your original wish list and see which doctor matches the most items on your list. At the end of the day, trust your gut. Sometimes your soul doctor isn’t the one who best matches your wish list, they are the doctor who makes you feel the most comfortable. Have you found your soul doctor? Share your journey with us on Facebook!